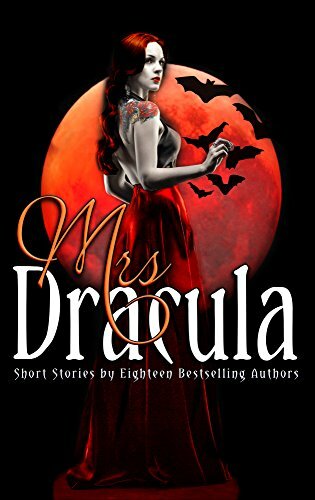 I’m currently involved in a Mrs Dracula anthology with seventeen other writers. The idea was to tell tales about the many brides of Dracula. It’s a great tome – something for everyone, from straight horror to PNR to cozy. Something to sink your teeth into on a chilly evening this Halloween! I was a voracious reader as a teenager, so I used to read my Dad’s James Herbert books and scare myself silly, but the story that sticks in my head the most was Peter Straub’s Shadowland. What a writer he is! Shadowland combines realism, horror and dark fantasy, and has an emotional depth most literary writers can only scratch the surface of. I still love it to this day. ‘Dracula’ by Bram Stoker, the ultimate gothic horror. ‘Red Dragon’ by Thomas Harris, is just superb. There are moments that scare and moments to make you weep. His characterisation is superb. Or try ‘Blood-Moth Kiss’ by Cate Gardner, in her short collection, ‘Shadow Moths: Frightful Horrors Quick Reads’. It’s a phenomenal short story that has stuck in my mind long after I finished it. But ‘It’ is my favourite novel of all time. I was working in a bookshop when the paperback was released and I couldn’t believe the size of it for starters, with really small print. So much reading, so much value for money. Once I’d opened it, I couldn’t put it down. It’s so involved and insightful, and you feel the corruption of the town so well in this story, and the neglect of the adult characters. It terrified me and mesmerised me and the characters are lodged firmly in my heart. I re-read it every few years. I have written a little erotica, but even that has a dark side. I think I’m edging more towards dark fantasy than straight horror these days, and possibly I’d like to try my hand at a dark thriller. I began writing seriously when I was made redundant in 2012. Looking back, my early stuff was pretty poor, but I managed to get a short story published in 2013 writing as Betty Gabriel, (Managing Murder), and after that I was hooked. 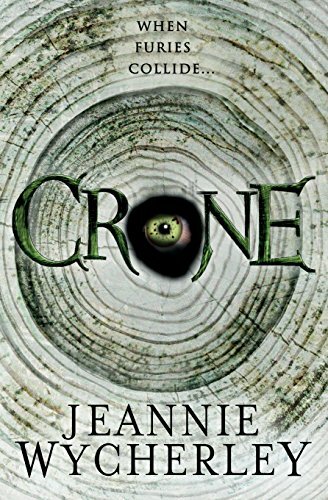 I wrote half a novel and retired it, and then a full novel which languishes on a memory stick, and then I started writing Crone and everything came together. I sent Crone out to a few agents and had no takers, but I really believed in it, so I edited it to death myself, then hired an editor and ended up cutting 20,000 words and finally self-published in May 2017. It has been warmly received for which I’m grateful. 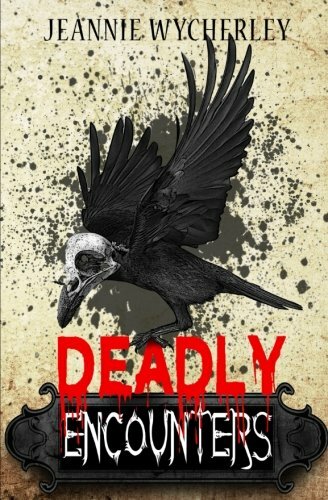 I also published a compilation of my short stories in August, Deadly Encounters, and now there’s Mrs Dracula. I think sometimes the writing is too formulaic, which is a problem in any genre of course. It’s more obvious in film, but you see it in books too, where the obvious stereotypes are the ones that die first. I personally absolutely loathe the beautiful teenagers that grace so many horror pages, and our movie screens, and the two-dimensional monsters that chase them. The things that scare us are so much more complicated than that. I think another problem is that not everyone likes to be scared, and those that do, are increasingly difficult to frighten. It takes a special kind of writer to creep people out in new and imaginative ways. Horror sometimes has a reputation for being gory and slash happy, but the best horror (in my personal opinion) is quiet and insidious and slips cold fingers down the back of your shirt. Oh of course. Beautifully written horror is a true joy! Think of a story and invert it. I read somewhere that when Jodie Foster is sent scripts to consider producing, where invariably the main character is male, she thinks about how the story would fare with a female in that part instead, and then she has the script rewritten. The result is always very interesting (see ‘Flightplan’, and ‘The Brave One’ for example). Unfortunately, yes. You only have to look at the newspapers and you know that there is evil lurking in every neighbourhood, from people torturing animals, to those who beat up their partners. I’m reading a biography about the Yorkshire Ripper at the moment. Serial killers walk quietly amongst us, don’t they? Then there are those who destroy others in the name of religion, or ‘democracy’. They are perhaps the scariest of all. The amount of hatred in the world. You see it on one level all over social media and it turns my stomach. Then I turn on the news and see people killed at pop concerts, and cities bombed to dust. We have nurses at foodbanks, and the most vulnerable in society unable to access benefits. We have young people who cannot afford to access education or rent a home, let alone buy a home. We are intolerant of people who are different in some way, we reward greed and immorality, and we’re frightened to speak out. That’s pretty bloody scary. I will be lighting a candle to all who have gone ahead, and remembering them with love.